To Europe With Kids presents Movie Monday as an occasional feature to recommend films that might expose children and their families to any small bit of European history, folklore, scenery, or animated imagery as entertainment, perhaps new knowledge, or just a couple of hours of electronic babysitting. I'm intrigued by the development of a film called Night Train to Lisbon, based on a 2004 novel by Pascal Mercier and scheduled for release in 2013. Preliminary cast includes Jeremy Irons and Vanessa Redgrave and as well as being filmed in Lisbon, scenes will also be shot in Caxias, Palmela and Bern, Switzerland. The story is a thriller, about a Swiss professor who is tired of his dull, routine life and drops everything to jump on a train to Lisbon to explore the story of a Portuguese author with whom he is mesmerized. It would be fun to see this film before we jump on that same night train to Lisbon (actually we'll be traveling from Lisbon) in July. I've had this book in my "to read" pile for a couple of years but haven't got to it yet. Didn't realize that there was a movie coming out so I'm going to have to read it now! Ooh now you've intrigued me too! I will make a point to see this and maybe even read the book. Thanks for sharing this. 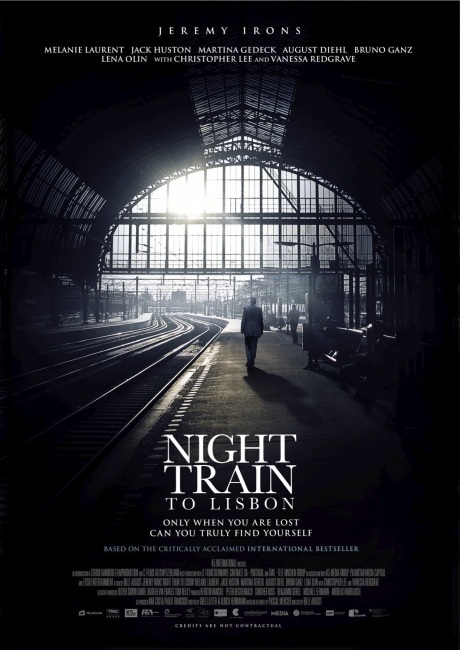 Are you sure you want to watch this thriller BEFORE you take the night train to Lisbon? Photo Friday: Do These Things Have a Name? Do You Need an International Driver's License? Why Are There No Toilet Seat Covers?